In late January 2019, while Portuguese archeologists were digging near the iconic Solar dos Presuntos restaurant in Lisbon, they made a striking discovery. They found the remains of an old Roman cemetery that was housing 2,000-year-old human remains along with numerous ancient artifacts. The burial site was discovered after the restaurant made plans to expand their location which opened up in 1975 in the Lisbon historical center. However, in order for the expansion to be approved, the city required that a team of archeologists must first survey the land around in case there was any historical significance to the area. The discovery happened 20-feet beneath the ground with archeologist Nuno Neto proclaiming that “The level of preservation is excellent, and the set of artifacts is fabulous.” In total, 24 skeletons and 35 cremated remains were found along with pottery and coins which would typically be found at a burial site. 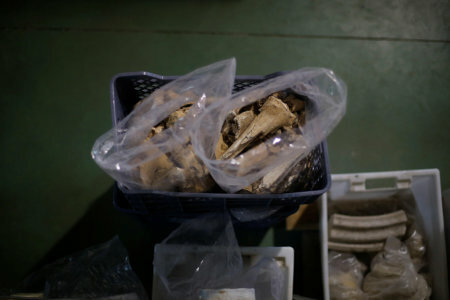 Currently, all of the artifacts and human remains have been moved to the archeologist’s research laboratory, and will eventually be transferred to the city council. Although the site was initially discovered in 2016, the discovery was only made known to the public in January 2019. Although the findings have slowed the expansion of the restaurant, the owners don’t mind and hope to have some of the artifacts in the restaurant someday.